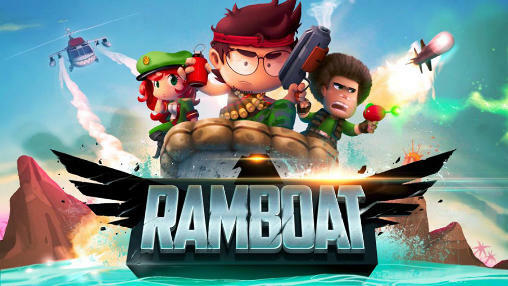 Ramboat: Hero shooting game - control a hero speeding on a fast boat and destroying the most different enemies with accurate shoots from powerful weapons. 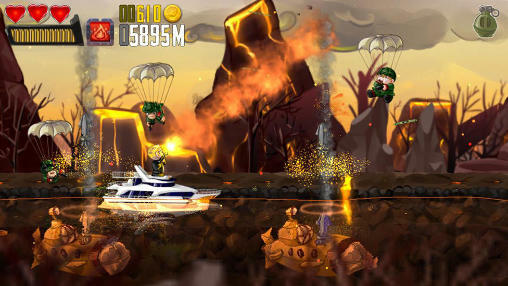 Speed along the water surface and avoid numerous traps in this game for Android. 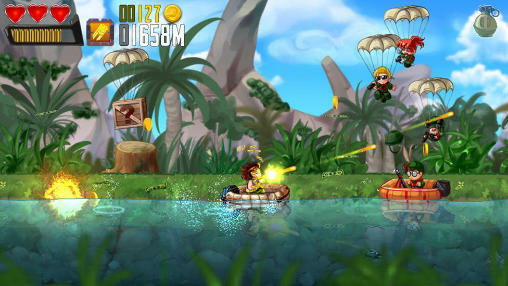 Ride your boat along the coast firing soldiers and military equipment on the land. Shoot down planes and helicopters. 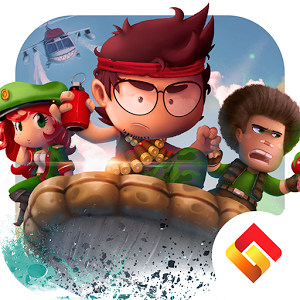 Sink enemy boats and beware of submarines. 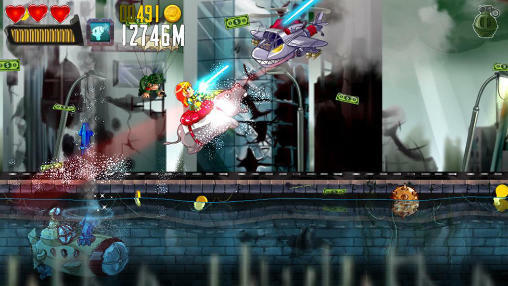 Collect money and useful bonuses. Unlock unique character like a pirate, a cyborg, a mafiosi, etc. Buy different boats.